From Goodreads: It was a spring evening in Washington DC; a chilly autumn morning in Melbourne; it was exactly 22.00 Greenwich Mean Time when a worm entered the computerised control systems of hundreds of Australian prisons and released the locks in many places of incarceration, some of which the hacker could not have known existed. Has a young Australian woman declared cyber war on the United States? Or was her Angel Worm intended only to open the prison doors of those unfortunates detained by Australia's harsh immigration policies? Did America suffer collateral damage? Is she innocent? Can she be saved? Thoughts: Peter Carey is one of those authors I've been meaning to read for years. 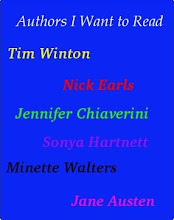 He is lauded as one of Australia's greats and at the start of this book I could see why. However, by the end I just wanted it to be over. I listened to this as a audio book, read by Colin Friels and Friels voice may have been the only thing that stopped me ripping my headphones off in pure frustration. As I said, it started well. The story was intriguing, the narrator someone you were willing to go along with. Then part two of the book started. I started to wish the narrator would stop whinging, I kept waiting for the story to go somewhere, for the clear storyline from the first part to reappear. It didn't. Or maybe it did but I was so dispirited and confused I couldn't recognise it. 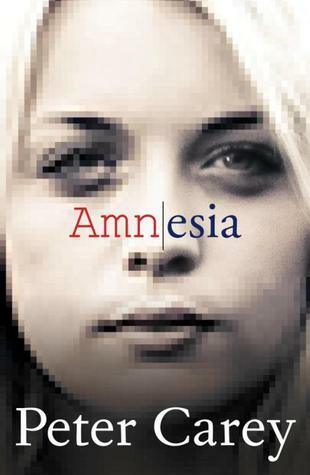 Amnesia strikes me as the kind of book that was trying to be too clever for it's own good and in doing so it stuffed up what could have been a really interesting story. I haven't given up on Carey just yet, everyone deserves a second chance, but it may take me awhile before I'm willing to have another go.